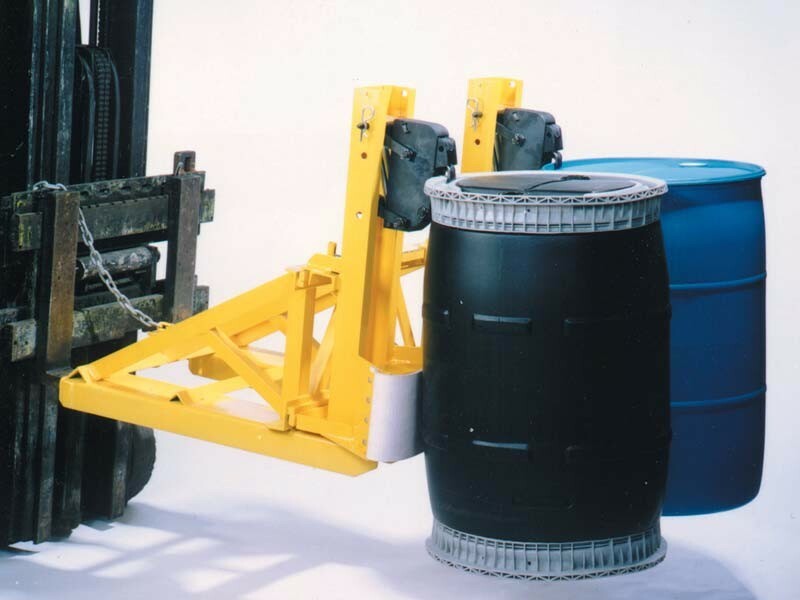 Our drum handling attachments are the safest and most durable lift truck attachment anywhere. Precision laser cut components are machined and hardened. There are no stamped parts on any of our drum handlers. Every drum handler we offer features steel alloy jaws on our beaks. 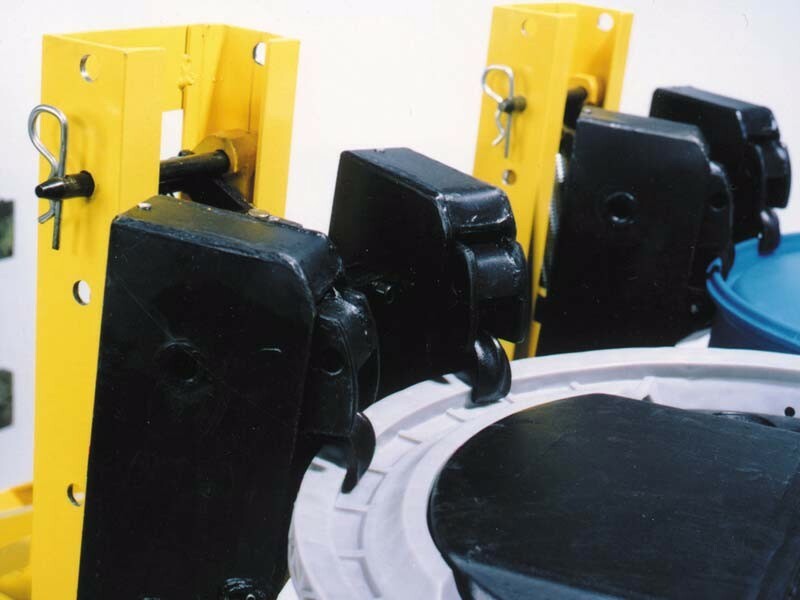 We can configure a drum handler with one or two beak heads, and our heavy-duty handler features a double clamping mechanism. 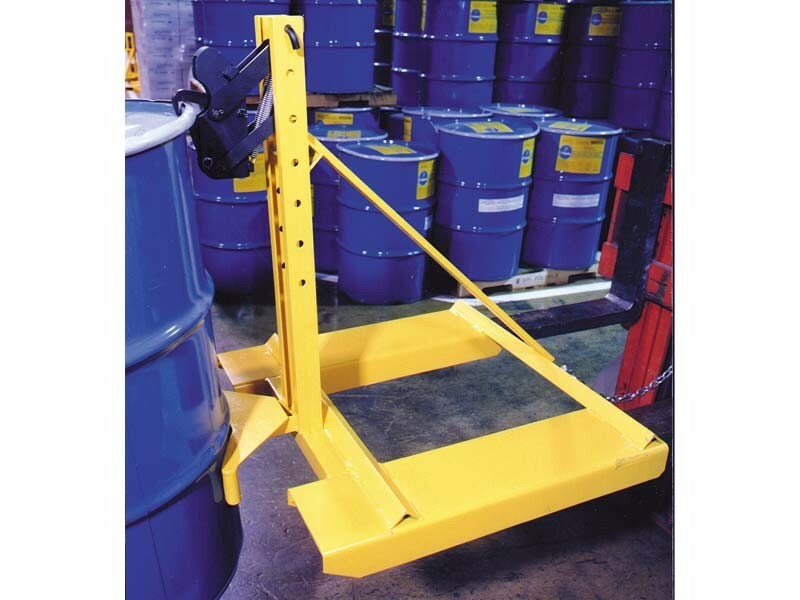 If you have a fiber, steel or plastic chimed drum, our forklift drum handler is what you need. We offer light, medium and heavy duty models with capacities that range from 750lbs. to 4000lbs. capacity. Each handler is available in either a fork mount or carriage mount. 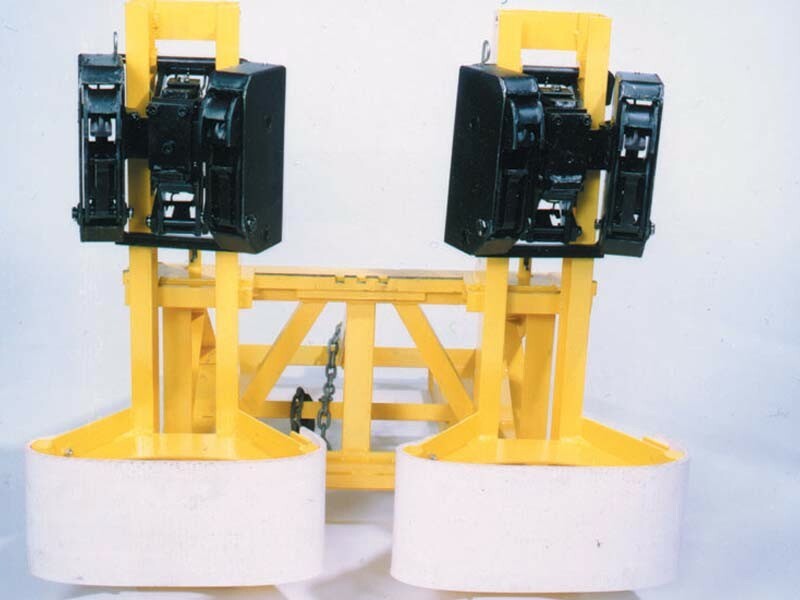 Standard safety chain secures attachment to lift. Beak is adjustable in height to suit your specific application.